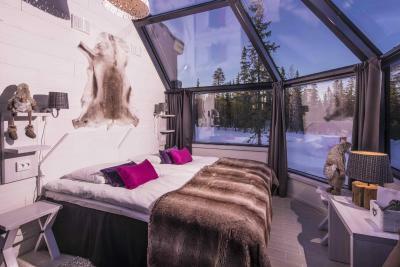 Lock in a great price for Santa's Hotel Aurora & Igloos – rated 8.8 by recent guests! We like the friendliness of the staff, quality of food at dinner and atmosphere. 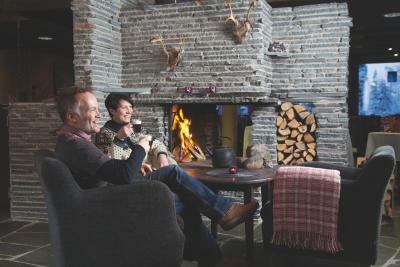 The sauna in the room was fantastic and the combined reception & bar area with open fire was lovely. The view from the rooms. The cosy lobby, the food and atmosphere in the dining room. The sauna in the room after a walk in the snow was great! We loved everything about this wonderful hotel. From the warm welcome, generous rooms, amazing food and in room sauna; to the activities we arranged through staff and the super easy check in and check out. Great place to unwind, enjoy nature and indulge! The staffs are very friendly and willing to help. We really appreciated their help. The sauna and fireplace in the room are really nice and impressive, which made our stay very comfortable. We had a very good sleep. The staff are fabulous - the food was delicious and the room so comfortable - loved the sauna! 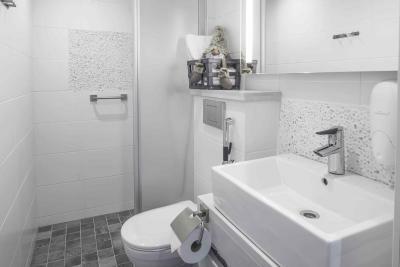 Everything was perfect but after housekeeping, room was stiil dirty.they didnt clean the room and the bathroom.they didnt put new towels they just tidy up the room. 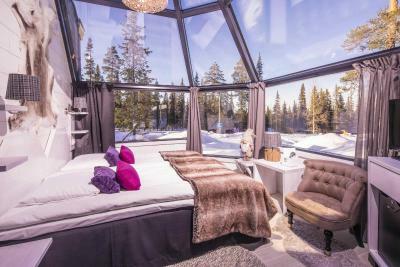 Santa's Hotel Aurora & Igloos This rating is a reflection of how the property compares to the industry standard when it comes to price, facilities and services available. It's based on a self-evaluation by the property. Use this rating to help choose your stay! All guest accommodations at Hotel Aurora Chalet have northern views, which is ideal for watching the Northern Lights. 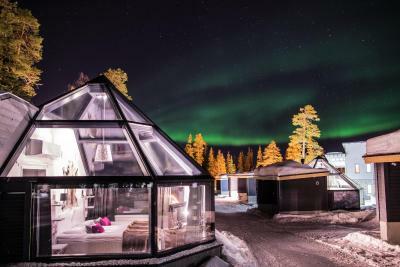 In addition, the hotel has a unique Northern Lights alerting system. Some guest accommodations have a fireplace. A number of rooms include a separate sleeping area and a living room. The in-house restaurant serves a breakfast buffet as well as 3-course set meals and a menu. The dishes are based on local ingredients. In addition, the hotel has a bar with a fireplace. 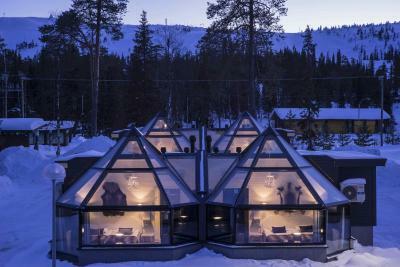 When would you like to stay at Santa's Hotel Aurora & Igloos? House Rules Santa's Hotel Aurora & Igloos takes special requests – add in the next step! ATM card Santa&#39;s Hotel Aurora &amp; Igloos accepts these cards and reserves the right to temporarily hold an amount prior to arrival. Santa's Hotel Aurora & Igloos accepts these cards and reserves the right to temporarily hold an amount prior to arrival. The front desk is available from 8 am until 10 pm. The beds were not fixed together. It is not clean enough to match its reputation. I saw hair on the wall of bathroom and on the quilt. I like the igloo and the beautiful view around. Quaint little hotel, friendly staff, fantastic food. Breakfast variety was good, convenient location. Walkable distance to the Pyha Luosto National Park, and enjoyed the walks by the lake. Charming staff. Excellent breakfast The bed was nice. Lovely staff! Spacious rooms Good wifi Sauna in room!